A phrase that gets thrown around a lot in the Christian circle is “let’s partner together.” Sometimes tasks and projects are too much for one person, church or organization. Since no one wants or has the time to reinvent the wheel, why not maximize on each other’s strengths and knowledge? But we all know, that is easier said than done. Once you sit down together to work through what needs to get done, the how can get tricky. In business, partners are motivated by a mutual desire to make money. But in ministry, the motivation may appear to the same but with differences in theology and leadership qualities, many times a partnership is not viable. So, the question becomes how does one create partnerships within Christian ministries resulting in collective work for the Gospel? 1. Do you like and trust the person you will be partnering with? This is one of the most important questions, I think. I firmly believe that as believers we are called to “love” everyone but honestly, we do not get along with or like everyone. If personalities clash from the get-go or if you don’t trust the other party, there cannot be a successful partnership. I know what personalities don’t jive with mine and what traits bother me. Therefore, when I meet potential partners, those are red flags that I look for and then avoid. Trust is huge! You must be able to trust the persons you are partnering with. Once trust is lost, regardless of the reason, a long-term partnership seems dim. It has happened to me with even reputable Christian organizations. Ultimately, lasting partnerships happen when you know the other party will come through with what they say and promise to carry out. With no trust or broken trust, both parties lose out in the end. How does the partner work and get things done? Are they more collaborative or more independent? This was a question I was asking myself during a breakfast meeting with a church pastor. I realized that we were never on the same page or were having a hard time communicating with each other. He likes meeting in groups and making decisions collectively as a group. While I see the benefits of being in a group, I tend to rely on my coworkers to work independently and make necessary decisions accordingly. I like to play off peoples’ strengths and I believe that too many meetings are unproductive and can hinder productivity. It is better to know from the beginning than realize later that your working styles are different. By knowing whether you can accommodate each other’s working style, you minimize the chance of jeopardizing the relationship or the project’s end goal. As much as it is to get your goals across for a project, it is sometimes more important to hear the other party’s goals and motivation. A genuine partnership forms when both parties share a common vision. Forcing a partnership with different visions or objectives is a recipe for disaster. More time may be spent trying to get your point across than working together. Synergy is important. By listening, you can better understand the other’s goals and manage expectations. It’s important to take the time out to find a mutual vision that works for both parties. Trust can be built that way and there will be less room for misunderstandings and miscommunication. If you get beyond my first 3 points, then creating a win-win partnership should be simple. Understanding and agreeing to mutually help each other achieve a win results in a successful partnership. That can only happen when both sides believe in each other’s mission. A one-sided partnership will not survive in the long term no matter how much money may be exchanged. At some point, frustration or a sense of unfairness can settle in and eventually destroy the partnership, in which case both sides lose. Of course there has to be some give and take and room for grace, but that can only happen if the visions are believed mutually to be from God. Talking about money and expectations can be weird and awkward but necessary in partnerships. It is better to be upfront and clear from the get-go to avoid issues later. Many issues can be avoided by clearly stating what is expected for what price. As an Asian, I hate talking about money. I still feel uncomfortable talking about it but have learned from past experiences that it is worse if I don’t. If there is a disagreement about money or expectations from the beginning, then a partnership may not be the best thing and future conflicts can be avoided all together. Lastly, trust the Holy Spirit. The Holy Spirit is and should be involved in all parts of ministry work. I try to always listen to the Holy Spirit, especially when I am dealing with other partners. I need guidance and want to see things from His Perspective and not just mine. Sometimes the Holy Spirit will place a burden about a vision or ask for me to hold off on a project. When that happens, I share that with my partners and respected mentors for accountability. It is not always about what is best for the ministry I am working for. It is always about the ministry God has called all of us to participate in. I will continue to make mistakes, but I will strive to pray and listen more, believing that God will guide my ways. My trust in God grows more everyday as I see His Work being done in my ministries as well as those around me. The Barnabas Group's connects marketplace leaders with ministry opportunities to improve ministry outcomes with member marketplace skills! Resource Global is committed to resourcing and releasing the next generation of Christian leaders and professionals within an interconnected network for Gospel movements. 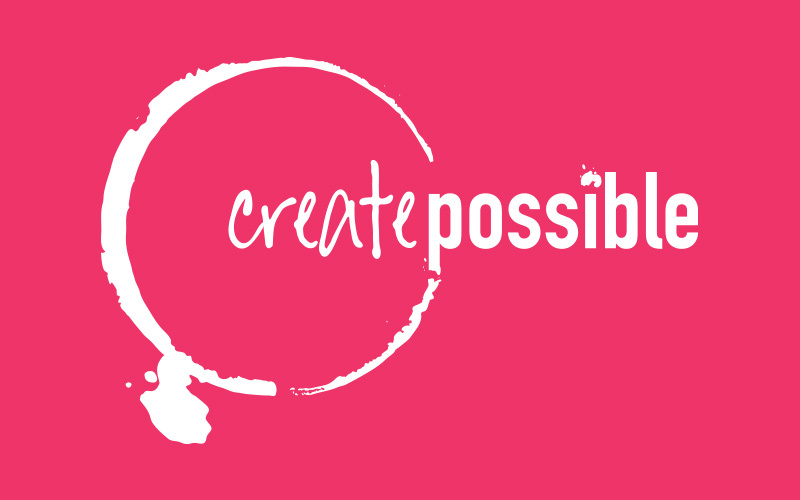 CreatePossible is a collective of consultants, entrepreneurs, and advocates who want your ideas to illuminate with a nonprofit heart and business acumen. Coming to Chicago October 18-20, 2018. 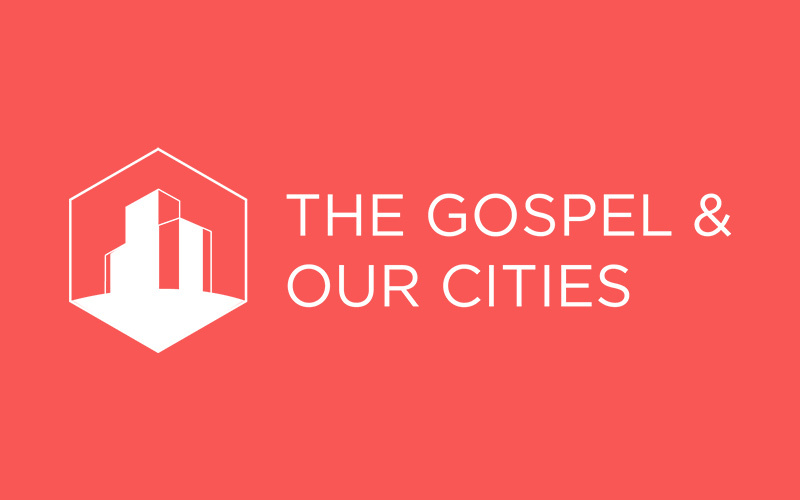 The Gospel and Our Cities Conference will bring together thought leaders and practitioners in key topics around urban ministry. 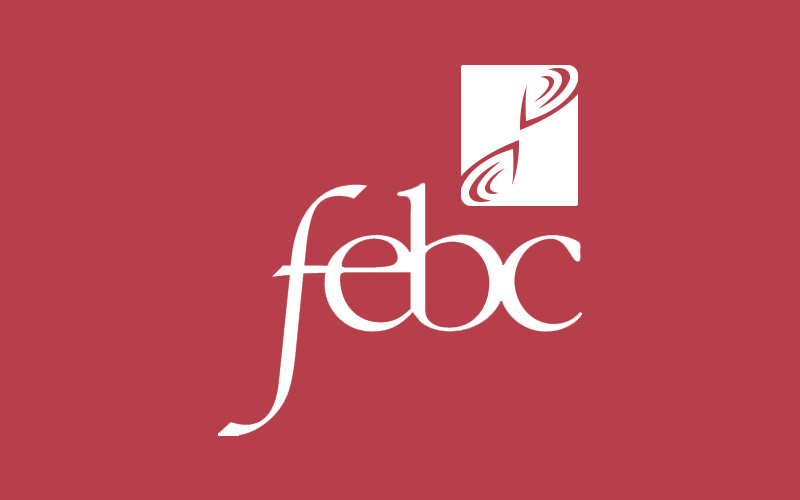 We exist to provide you with solid Biblical teaching from some of the country’s top pastors and Bible teachers that you can apply to your life. 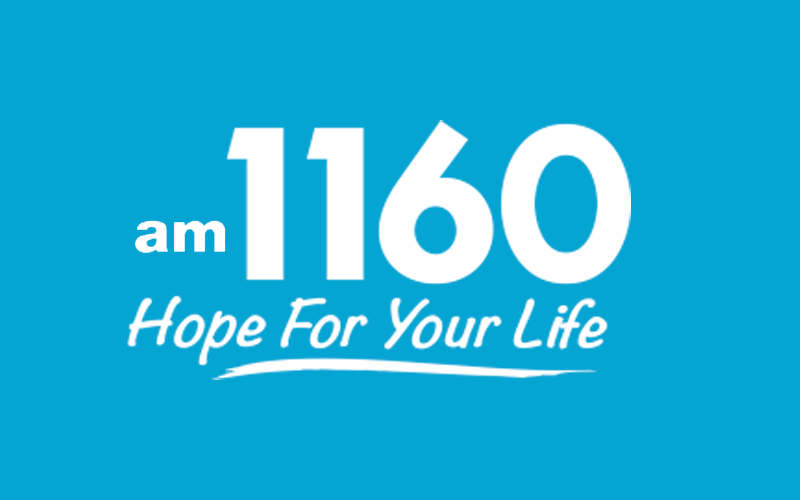 Far East Broadcasting Company is an international radio network that airs Christian programs in 149 languages throughout the world. 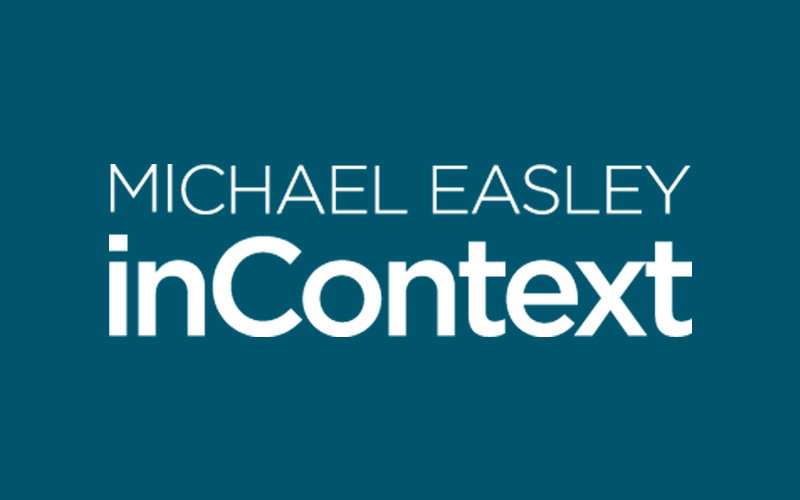 inContext with Michael Easley is a broadcasted show designed to help you take a fresh approach to grappling with truth through sound Biblical exposition, tangible illustrations, and real-life insights. © 2018 CreatePossible. All Rights Reserved.